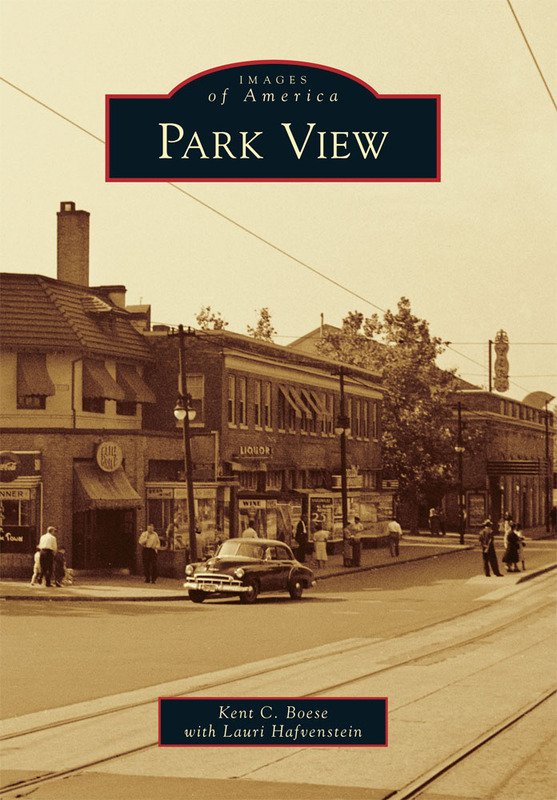 Columbia Heights Civic Plaza | Park View, D.C. 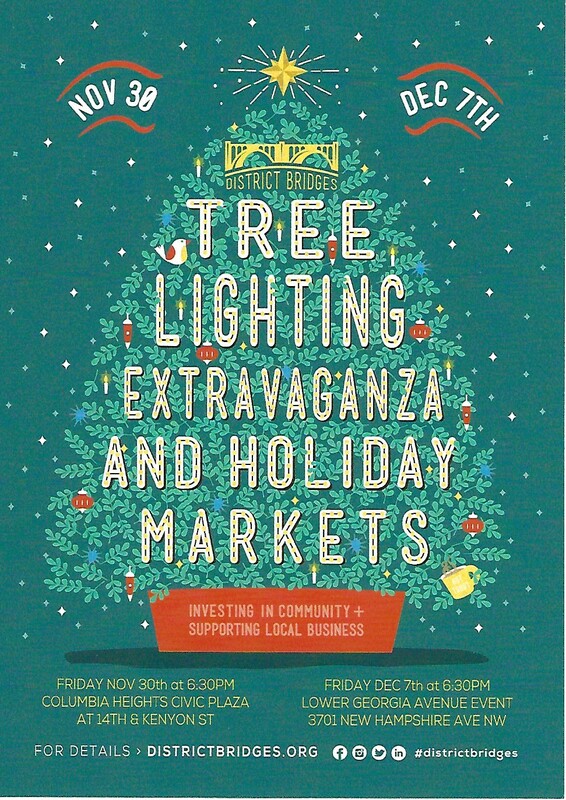 The 6th Annual Columbia Heights Tree Lighting Extravaganza is scheduled for Saturday, December 3rd, beginning at 6:30 p.m. The annual event is held at the Columbia Heights Civic plaza (14th St, Kenyon St, and Park Rd.). 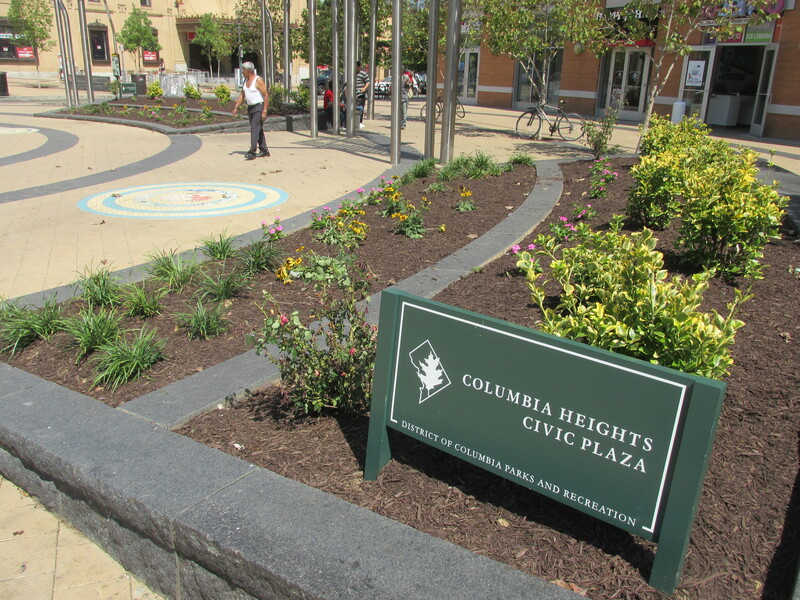 Details from the Columbia Heights Initiative: This Saturday we will be decking the halls-and by halls we mean the Columbia Heights Civic Plaza-for our 6th Annual Columbia Heights Tree Lighting Extravaganza. Come to the plaza to enjoy complimentary cocoa, candy canes, carols — and perhaps even a visit from Santa! If you have been on the Columbia Heights Civic Plaza in the last week, you may have noticed that DPR has placed a new Soofa bench in the center of the space. While the bench is kind of cool, the placement of the bench and the overall lack of a community process leading to its installation leave a lot to be desired. The bench is right in the middle of the plaza, where it will disrupt pedestrian movement through the plaza, particularly during the farmers market days and other public events. But in looking at the bench itself, it is a good idea that I hope we’ll start to see in locations better suited to its design and service. 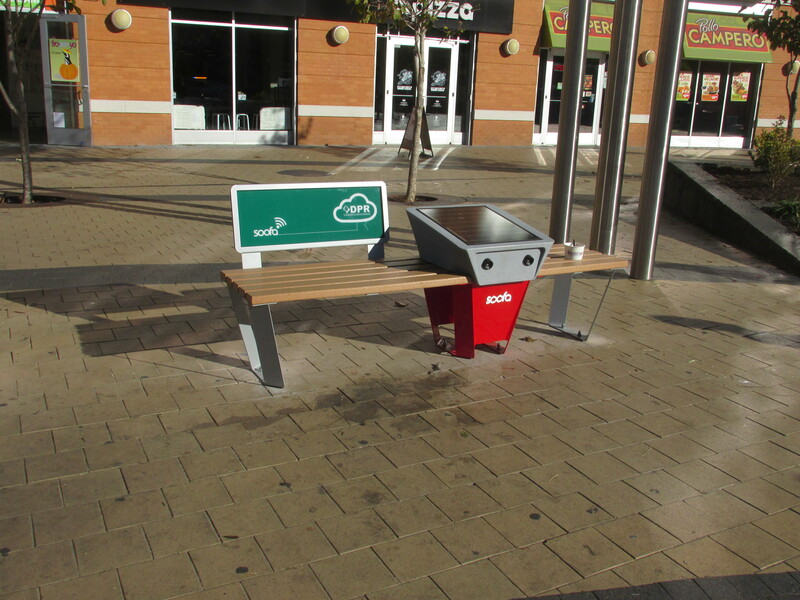 The Soofa Bench is a solar-powered bench that charges phones and monitors its environment. I could see these benches being really useful in spaces like the 11th and Park Road dog park and at many of our parks and playgrounds. 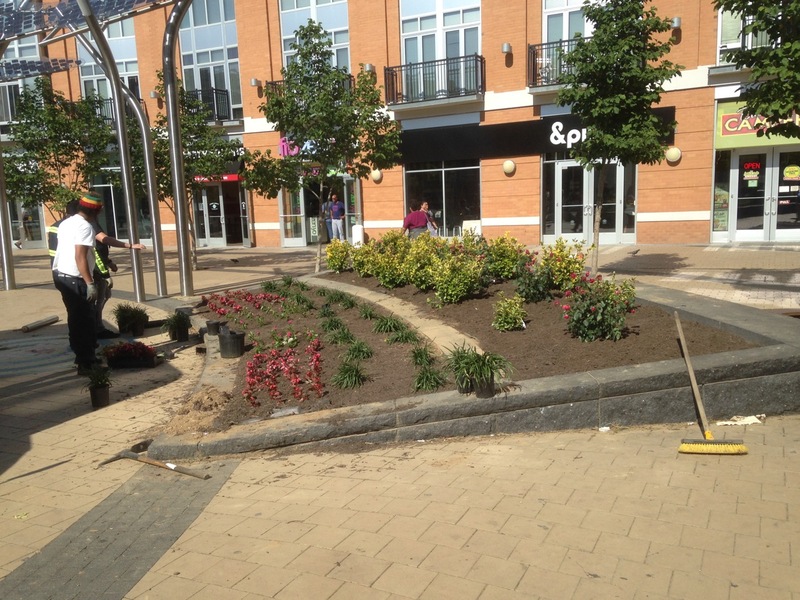 Columbia Heights Civic Plaza with new plants. 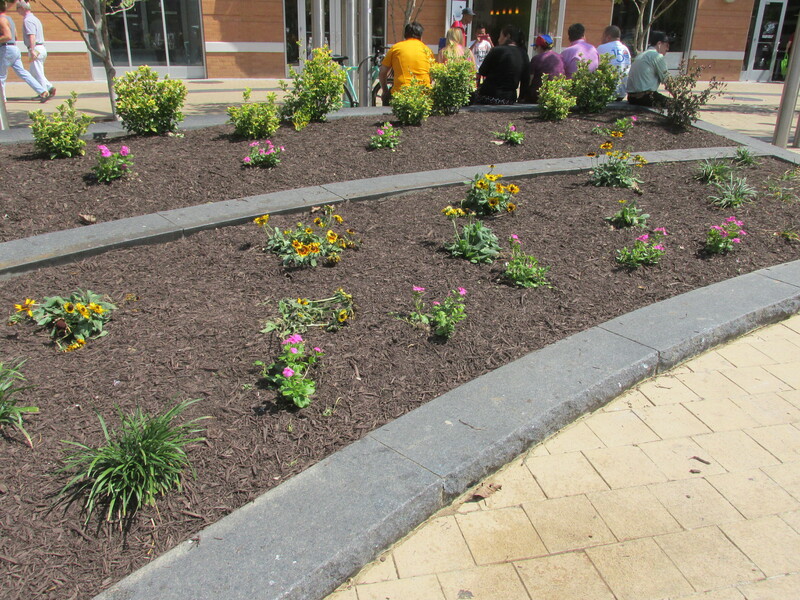 Within the last week, the Columbia Heights Civic Plaza has received new plantings for the second time since the spring. However, this effort to beautify the plaza is not welcomed by many. 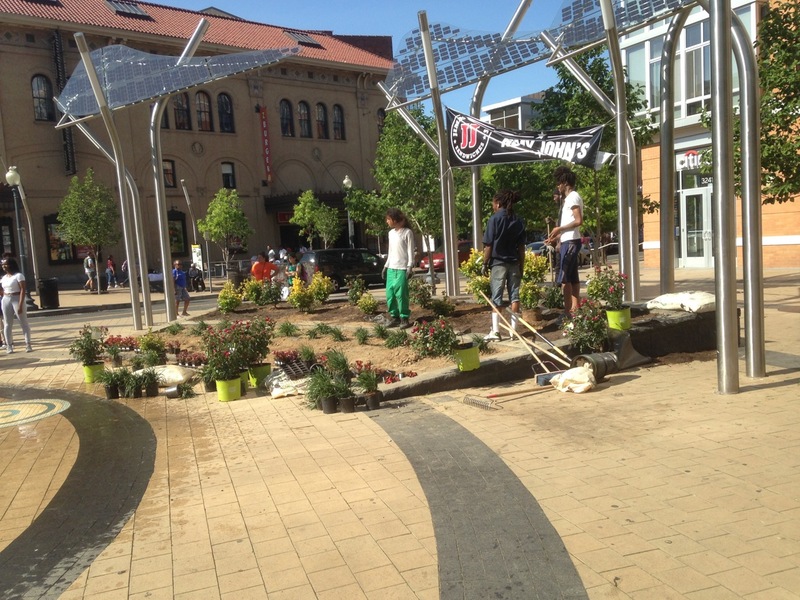 Those taking issue with the new plants aren’t necessarily against the plants, but rather that the efforts in June and now both occurred without any notice to the community and that converting the areas around the fountain from grass to flower beds have negatively impacted the usefulness of the plaza. The negative impact of the plants on the plaza has been particularly felt by the weekly farmers market, which uses the entire plaza. More on a daily level, when the areas were grass people would sit on the area while watching children play in the fountain. What is particularly disappointing is that members of the farmers market, community, ANC1A, and Department of Parks and Recreation all sat down to discuss how the plaza is managed and functions since the areas have become plant beds on August 10th. While there was an understanding that changing anything during the current season wouldn’t make sense, there seemed to also be an understanding that the plantings would need to be revisited as they have changed how the plaza functions. Despite this meeting, more plants have been added to the beds further impacting the usefulness of the area. It seems that either DPR of the Department of General Services, or perhaps some other agency, didn’t get the message that their efforts to beautify the plaza are not all that welcomed, and have caused tensions and angry words between those using the plaza and those attempting to protect plants that were never intended to be part of the tightly designed space. In short, someone in our government messed up, and is continuing to spend money and labor to entrench the error. Splashing in spray parks and fountains was probably the last thing on anyone’s mind when a record breaking 15 straight days of rain began on April 27th. 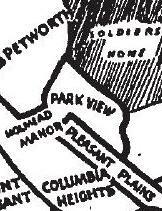 Now, its lasting effects are still impacting residents living in Columbia Heights. The spring rains damaged the fountain at the Columbia Heights Civic Plaza and estimates to repair it have come in as high as $70,000. The record breaking rain that Washingtonians experienced in May also caused havoc with the Columbia Heights Civic Plaza’s fountain when one of the storms flooded the system’s control box. While the city has been able to get the system back up and running, it is not opperating property and the low water pressure is causing some nozzles to shoot water and others to barely have a trickle. Currently, the Department of Parks and Recreation is working with the Department of General Services to procure another control box, however early estimates have been in the neighborhood of $70,000. While getting the fountain back up to expected operating conditions will be challenging, other improvements to the plaza were completed last week that many should appreciate. 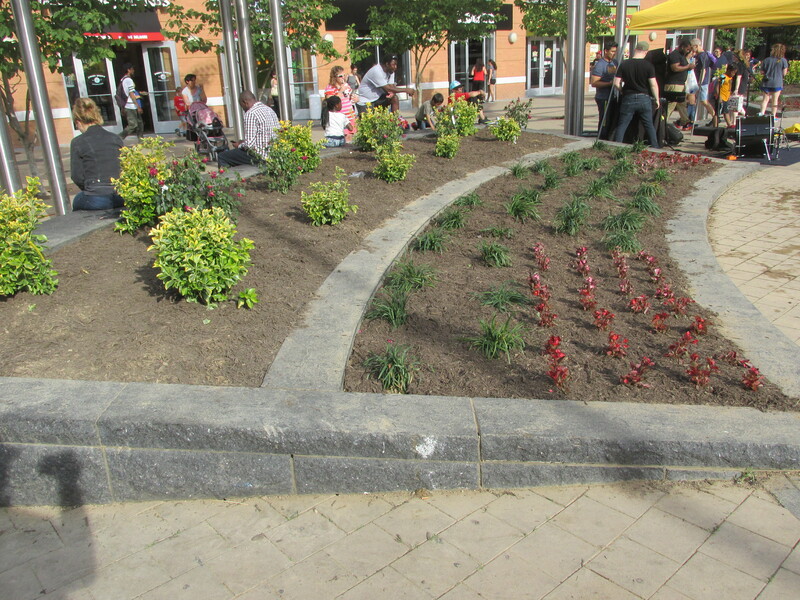 The grassy areas to the east of the fountain — which mostly contained dead grass — were replaced with flowers and shrubs. Ph samples were taken of the soil to ensure that plants were planted correctly. Below are a few photos of the plants being installed and one after completion.